Ethel lived in Barr and Washington, Daviess County, Indiana. This entry was posted in Daviess County and tagged Bruner, Carnahan, Morgan, Prosser on February 12, 2015 by oahblog. 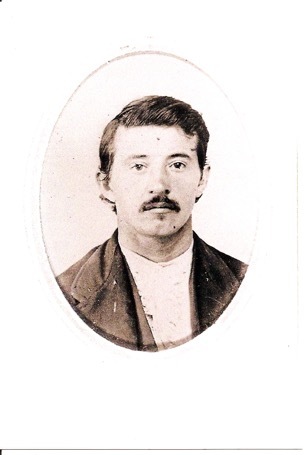 Thomas lived in Washington, Daviess County, Indiana until 1895 when he moved to Lexington, Dawson County, Nebraska. He lived in Oshkosh, Garden County, Nebraska from 1911 to 1936 and then moved back to Daviess County, Indiana in 1937. 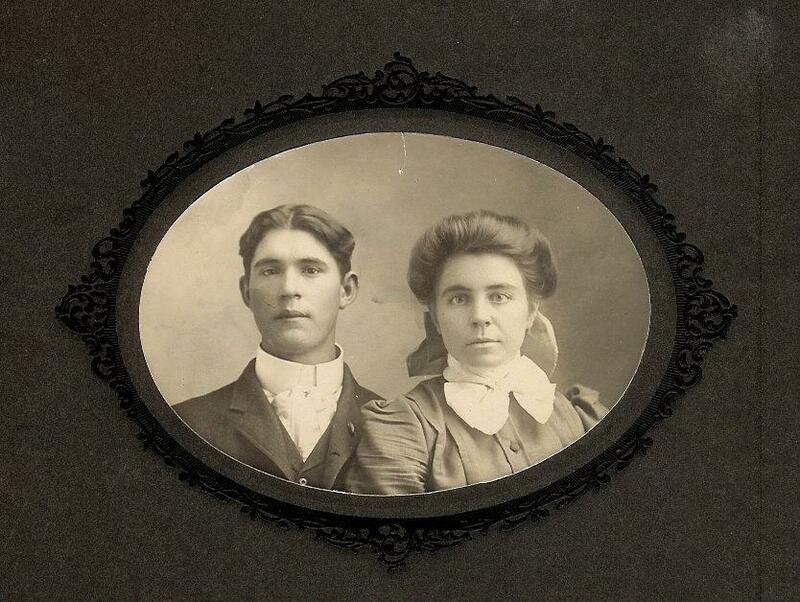 After 1902 the young Ed worked for his uncle (Kim Morgan) a while and on a ranch and in 1911 homesteaded in the sand hills of Nebraska. His house there was part wood and part sod, but he had built and lived in several sod houses. The only trees in that country were ones the farmers set out in a grove, he explained. Sod houses were not only easier to come by, but were cool in summer and warm in winter with walls two feet thick. The Morgan photograph album has a picture of Ed -plowing with a six horse span and he remembers the first late model threshing machine he used threshing 1,000 bushels in half a day. In 1937 Ed came back and married Ethel Prosser, a childhood neighbor. The two of them had gone to school together in the Wathen school north of Billings crossroad, the neighborhood where Ethel grew up. 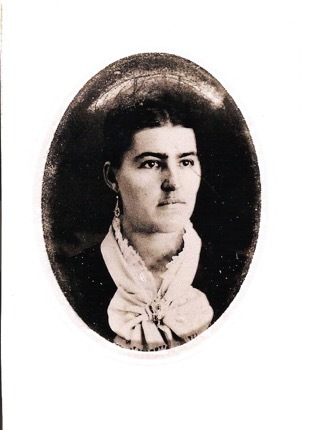 She had been a member of Bethany Church. They farmed here until 20 years ago when they sold the place and moved to town. Their furnishings include an elaborately carved settee and other pieces from Mrs. Morgan’s family that are over 100 years old. Both of the Morgan are more interested in the thing they have planned for the coming months than in the way thing were long ago, but the memories are there. Mrs. Morgan who whizzes through a daily schedule that many women half her age couldn’t manage, laughs when she remembers how sickly she was as a child. “When I was three years old, the family never thought I’d make it and they got a burial dress ready for me.” The little white dress dress, stiff with elaborate embroidery that many museums would love to have, is among her belongings. She turned out not to be sickly after all. This entry was posted in Daviess County and tagged Blue, Bruner, Hendrix, Kluver, Morgan, Saulsbury, Snook on February 12, 2015 by oahblog. John and Margaret left Stark County, Ohio, in 1837 and bought land in Miami County, Indiana, between 1841 and 1846. He owned the first mill in Miami County. In 1854, he sold the land in Miami County, Indiana, and bought land in Pioneer Township, Cedar County, Iowa, which was sold in 1863. By 1860, they were living in Prairie Green Township, Iroquois County, Illinois. This entry was posted in Miami County and tagged Bowers, Comstock, Grogg, Kessling, Morgan, Murdock, Pavey, Snyder, Suder on September 22, 2014 by oahblog.